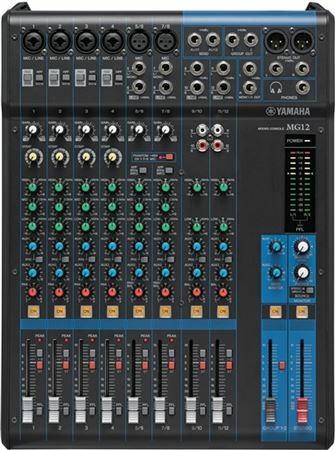 Shop Yamaha MG12 12 Channel Stereo Mixer from AMS with 0% Interest Payment Plans and Free Shipping. The 12-channel Yamaha MG12 12-Input Stereo Mixer features 6 Mic/Line inputs and 6 additional line inputs, two group buses, a stereo bus, a pair of AUX outs and is loaded with D-PRE mic preamps to deliver a level of sonic purity and sound quality that is unmatched in its class. Embrace the transparent sound of the Yamaha MG Series of Mixers. Easy to use and I like the on buttons for each chanel, it protects my speakers from sudden burst. 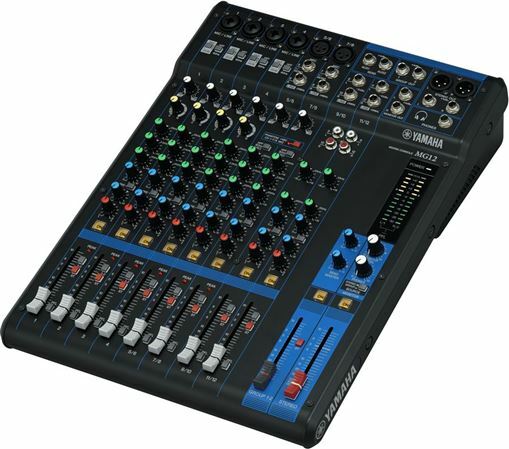 Compare to the last mixer I had this is way way better.